Today I achieved a lot as we finished our questions and we chose the six best and wrote them on a paper and then typed them up. My group really cooperated well today. We also did a lot more research about our issue. Today I learnt several things like some car companies are forced to make hybrid and eco friendly cars. They do it do save the environment. I also learnt that Bangkok was the third city to take action about the traffic problems. Today my sources were guest speakers and the internet as we had to research about traffic problems in Bangkok. I used the internet most of the time today as that’s how I found all my information. My question is how does the government control the traffic in Bangkok as it is very bad? My plan for the next few days is to continuing cooperating with my group and continuing my research. Today we visited the ‘Young Guns Design Exhibition’ at the Bangkok Universtity Rangsit Campus. It featured award wining designs from around the world. We were also lucky enought to visit the Southeast Asian Ceramics Museum and saw a display of university student work about the marketing of MK Restaurants. It was a good opportunity for us all to reflect on ‘what makes a good presentation’ and to see how professional designers have implemented the use of ‘clear’, ‘simple’ and ‘to the point’ images to get their message across. Homework for 6CB: Leave a comment to this posting. Think about the first Exhibition we saw this morning. How do you think designers use clear, simple images to get their message across? How did the designers get their ideas ‘to the point’? Why you chose to share that display. What the designer’s message was. Here are some pictures of what we saw today. Share these with your parents and show them what you saw. Explain what you learned about displaying information and how you could use this in your Y6 Exhibition Presentation. Cockroach are one of the larger group of insects are found all of the earth. They are usually dark brown in color and have flattened body and a relatively small head. They have two large antennae to sense food. They have three pairs of hairy legs and they have two pairs of wings and the top one which is harder to protect the soft body inside. The second pair of wings are very light which helps them to fly. 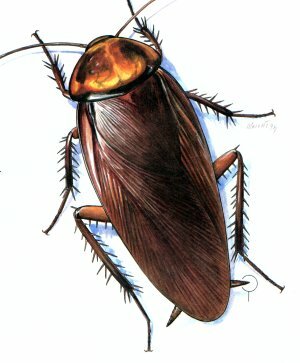 Cockroaches are the common pest found on household things. hides in a spooky wet corners and try not be seen. we like to chase it down and kill it. Thank God we got rid of one. 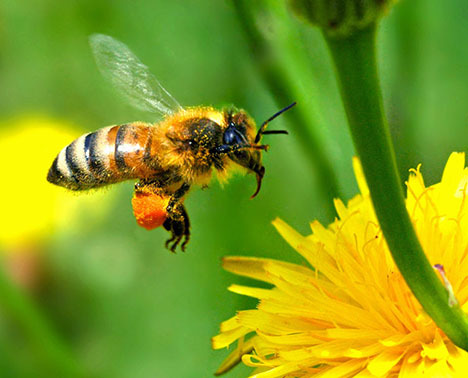 A honey bee collecting pollen in its "baskets"
HONEY BEES are insects that live in large colonies in hives . Each colony is made up of a queen bee, male drones and female worker bees. They produce the honey we eat, and pollinate flowers, fruits and vegetables. Their bodies are made up of three parts:1) a head 2) a thorax 3)an abdomen .The head has five eyes and can see UV light. The thorax is brown and hairy and the abdomen has orange-yellow and black bands. They have three pairs of legs, feelers and two pairs of wings. The back legs have special”baskets” made of stiff hair, to carry pollen back to the hive. They have a hard skeleton outside their bodies with holes for breathing. Honey bees may sound sweet, but they have a sting to defend themselves which are quite painful! However, once they sting a human being, they die!! Honey bees are smart and useful insects. They feed on pollen and nectar in flowers and pollinate the flowers so that new seeds are made. They use this nectar to make honeycombs and honey. These smart creatures use dances to tell other bees where to find food. Nectar and honey give their muscles energy to fly and to keep warm during winter. Scientists have found out that honey bees are disappearing and dying!! I hope scientists discover how to help them so that we can have all our fruits and vegetables. For you and me to eat! But will kill the poor thing! Dragonflies are types of insects that do not sting or harm humans. They have large eyes and wide, transparent strong wings. They are usually found around lakes, ponds, streams, and wetlands. Fish, turtles, frogs, ducks, herons and larger insects all like to eat dragonflies. Well –built adult dragonflies are experts in hunting and mostly eat other insects. 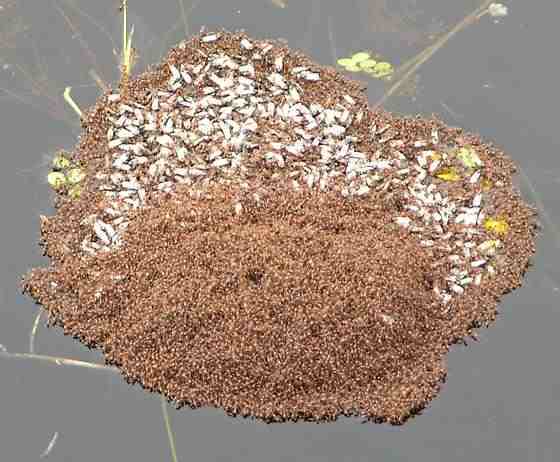 Dragonflies often hunt for food in different sizes of groups when ants are available in large numbers. Small ponds where the air is fresh, is where dragonflies prefer to stay. The flowers are blooming and the sky brightens up. Sometimes high in the sky. out lines on each part. In the black outline, there are many dots. ones that are just beside the orange wings. 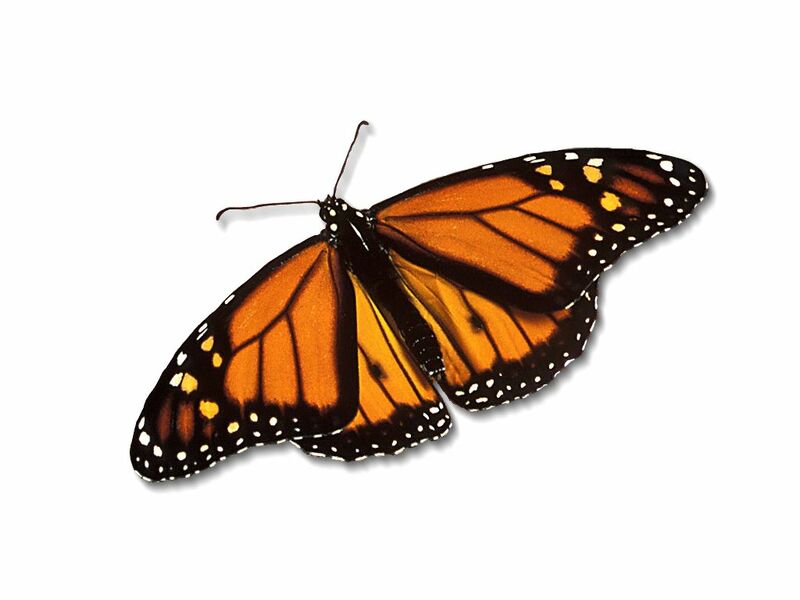 This Monarch butterfly has got I think two big wings and two small wings. anttenas. In this photograph, this butterfly is opening its wings very wide. Black lines all around, with circles white and yellow. Flying up high to the sky. On a yellow round pollen. Till the next rest time. This spider has long legs. It have 8 legs. This spider has black body with a red mark in the middle around their but. It has a small head. I thought you guys might like this video – very entertaining and extremely clever! Make a comment if you wish.